Red may be the official hue of Valentine’s Day, but you don’t have to give red roses or wear a splash of red to get in the official Valentine’s Day spirit. You can also whip up something red. Red velvet, to be exact. Using a simple red velvet batter makes anything from pancakes to brownies festive. These five red-colored, cocoa-flavored sweets are proof. They’re also super easy to make and cupid approved. The color of love never looked–or tasted–so good. 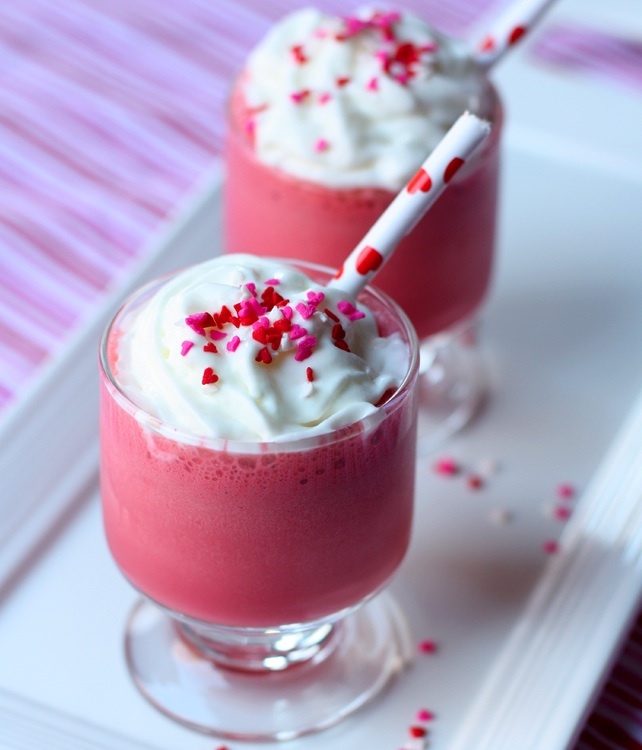 Be still my heart: Red Velvet Milkshakes! (above) These babies are so potent that Courtney at Pizzazzerie, the mad genius behind this recipe, keeps them mini. I don’t even want to know what happens if you serve these full size. Maybe you can find out once the kiddies go to bed? 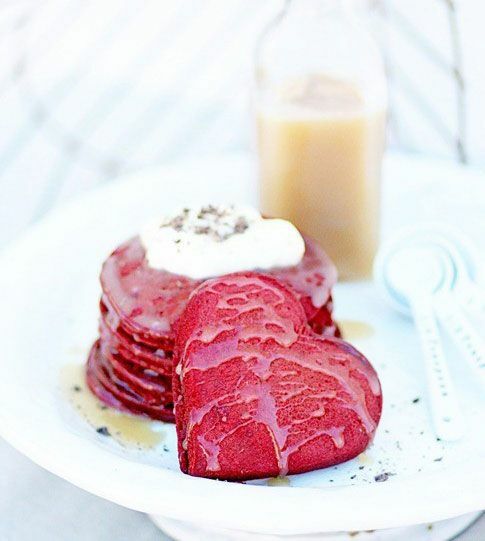 Start your February 14th off right with this Red Velvet Pancakes recipe from Whipperberry. 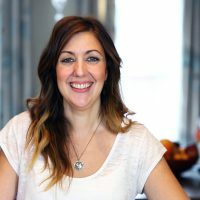 Keep things easy–without having to wake up super early (so not romantic! )–by mixing together the dry ingredients the night before. If you really want to cast a spell, you can also make Heather’s Buttermilk Syrup. It’s certainly enough to make me fall in love! Karly at Buns In My Oven has another breakfast idea that uses red velvet cake mix and requires very little work. 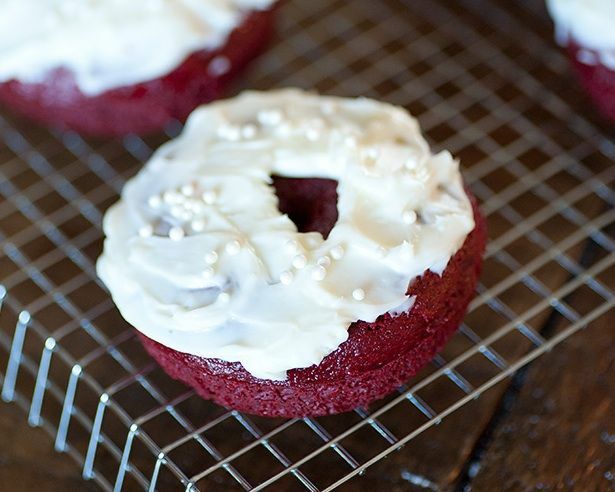 You will need a donut pan to make her Red Velvet Cake Mix Donuts but, once you have that in hand, these come together faster than cupid’s arrow. If you’re a traditionalist when it comes to red velvet, give these Red Velvet Cupcakes from My Baking Addiction a try. 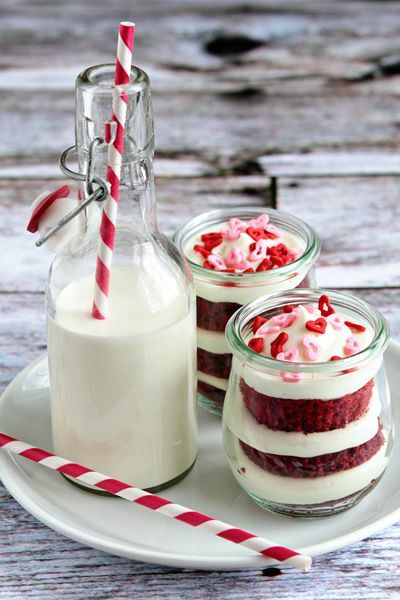 Never one to miss an opportunity for beautiful presentation, Jamie artfully layers her cupcakes in a jar with cream cheese frosting. Though it’s easier than it looks to do the same, I’d imagine most of us will stick with regular cupcakes which will no doubt be gobbled up just as fast. Brownies are as easy as home baking gets, and these Red Velvet Brownie Bites from Say It With Sprinkles are no exception. Stacy bakes hers in this heart-shaped baking pan, but you can just as easily use my technique for using a cookie cutter to cut out heart-shaped brownies. Stacy also ices her brownies with buttercream frosting. A lovely idea, but you can skip it if you’re short on time. A perfect brownie needs no embellishment. 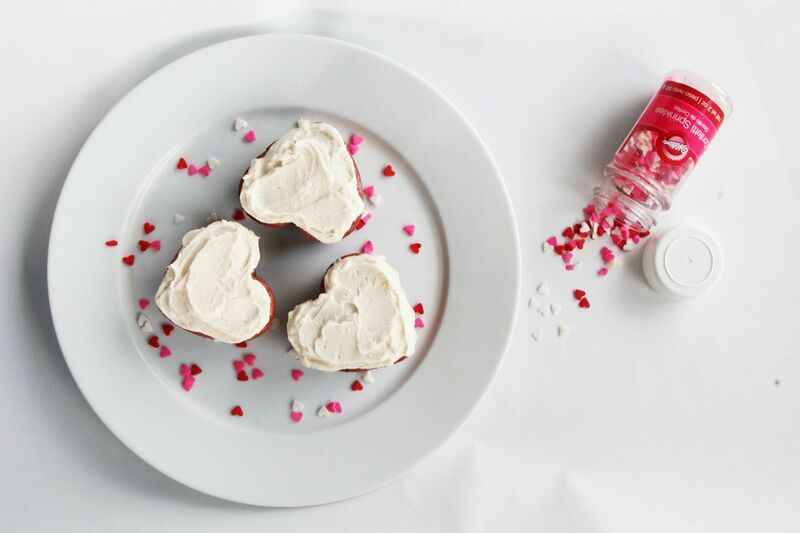 These recipes call for red food coloring and Valentine’s Day sprinkles. We love all-natural India Tree brand which makes both and are available through ChefTools.